Navajo-Churro were developed from the Iberian Churra - the first sheep brought to the Americas by the Conquistadors. 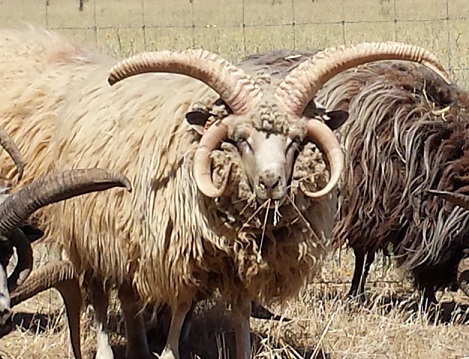 These Spanish sheep were traded with the Dine’ (Navajo people) who appreciated the sheep for their meat, milk and wool. The famous Navajo textiles are woven from Navajo-Churro wool. And Navajo-Churro fleece is admired for its luster, durability and amazing variety of natural colors. The Dine’ live in the Four Corners area of Colorado, New Mexico, Arizona and Utah and the Navajo-Churro evolved in this arid and unique landscape. Persecution by the US Government decimated their herds several times over the centuries and very few Navajo-Churro sheep survived. Dine’ shepherds cherished their "old style" sheep and were responsible for saving the Navajo-Churro breed from extinction. But by 1977, the sheep had dwindled to less than 500 head so Dr. Lyle McNeal formed the Navajo Sheep Project to revitalize this breed and keep it from further depletion. When we decided to get sheep I wanted a heritage breed that was well adapted to our climate here in Northern California - cool, wet and green winters and very hot, dry and brown summers. I also wanted a sheep that could be milked so I could make Manchego cheese! Investigation led me to Spanish livestock and poultry breeds because they were developed in a climate similar to ours. From there I found the Navajo-Churro which had been further adapted to have traits I find highly desirable - excellent mothering instincts, easy lambing, great self preservation skills, and an ability to survive on a variety of forage. Plus they are beautiful and can be quite personable! 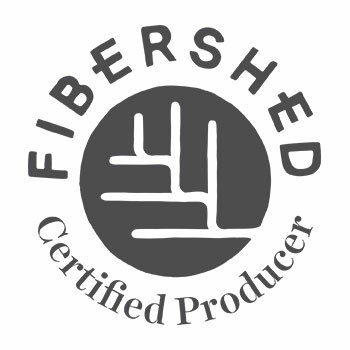 We believe in local fiber, local dyes and local labor and are a Fibershed Certified producer. 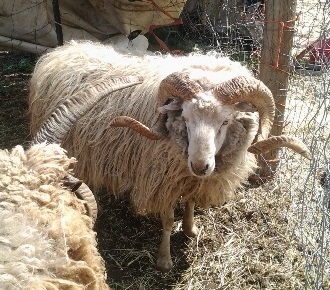 One of our breeding rams WDR Duke.